Is it possible to remove the color from a soft porous foam material? Rit Color Remover removes or reduces fabric color before dyeing. It will also safely remove dye stains on solid white items washed by mistake with colored items. This highly concentrated liquid takes existing color and stains out of fabrics while it whitens. Unlike bleach, it removes color gently, without damaging fibers. 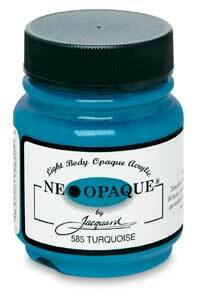 Neopaque is an opaque fabric paint, so white and light colors can cover a dark or colored background. Recommended for both natural and synthetic fibers. email you a question that has been burning within me for a while. I've been looking to dye some black porous foam like material to a light grey. Unfortunately this means I am going from a darker to brighter color. This would involve a bleaching process (I imagine) followed by dyeing afterward. I had previously attempted using bleach on a similar material, shoe shining foam. The material degraded and stayed black. I have since asked numerous people (not experts) and they either said it was impossible or they didn't know. I am hoping you can give me a definitive answer about the possibility of a bleaching/lightening process. If so how would I go about doing it? You are correct that the way to go from a dark color to a light one is to first remove the original color, and then add color as needed. I don't know whether removing the original color will be possible or not—I suspect it may not be—but I can tell you the best thing to try. There are several different color remover chemicals that work on a different principle than the chlorine-based bleach you've tried already. See the "Reductive Discharges" section of my page, "What chemicals can be used to remove or discharge dye?". Which of these other chemicals you use doesn't matter very much, because they are all based on the same chemical, sulfur dioxide. The sulfur-based color discharge chemicals are much kinder to synthetic materials than are the chlorine-based discharge chemicals. They all require some heat; more heat works better, so start with merely hot tap water and then, if that doesn't work, try heating on a stovetop to a simmer (if the foam can handle that much heat). Each produces similar results to the others, so there is no need to go trying first one and then another. If you're in the US, probably the easiest of the color remover chemicals to find is Rit Color Remover. Although I am not at all a fan of Rit All-Purpose Dye, I do very much like Rit Color Remover, which is a very good product. Some pharmacies or grocery stores carry Rit Color Remover. You should also be able to find it at a fabric store. if you can't find it locally, you can order it online. Unfortunately, chances are good that it will be impossible to remove the color from your foam, even with the very best product. If the foam was colored by adding pigment to it while it was still in liquid form, then nothing will be able to remove the color. Even if the foam was dyed after manufacture, there are some dyes that are completely resistant to any means of color removal. It's worth a try, though. Try Rit Color Remover on a piece of test foam, as you did with chlorine-based bleach, so you don't risk the piece you need. In addition, you should redouble your efforts to find a lighter-colored source of a similar foam. If you buy a large block of soft polyurethane foam, can you carve it to fit your application? Try searching at an upholstery store. If you succeed in removing the dark color, or in buying another foam that is a lighter color than you need, then we can discuss what sort of dye you should use. Another possible option to test would be to apply an opaque form of paint to your foam. It must be opaque in order to cover the original color; most fabric paint is transparent, so look for the word "opaque" on the label. Use only fabric paint, specifically labeled for use on fabrics, in order to avoid the usual stiff, scratchy hard acrylic paint; fabric paints are much softer and stretchier. Obviously, this will work better for some purposes than others, and it may not be at all suitable. You can buy fabric paints at some fabric stores and at crafts store. I recommend the Jacquard Neopaque brand for combining softness and opacity, though I am not sure that it will meet your needs. It is supposed to stick to both synthetic and natural fiber materials, including polyester and nylon, but I don't know how well it will stick to or how soft it will feel on your material.